In the case of a medical emergency, prompt CPR (cardiopulmonary resuscitation) can be the key to saving a life. The trouble is that most people only know of CPR what they’ve seen in movies and on TV, and that usually includes blowing air into the victim’s lungs. In most cases, though, the truly important action is keeping blood flowing through the body until medical help arrives. 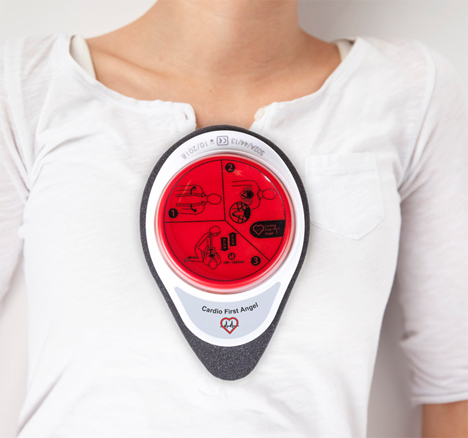 The Cardio First Angel is a simple device placed over the victim’s sternum to help anyone perform vital CPR – even those completely unfamiliar with the process. The confidence that comes from using the device rather than relying on one’s memory of the method can shave vital seconds off of the time it takes to aid the victim. 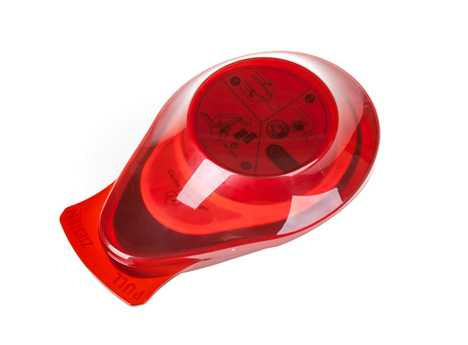 Produced by Munich-based Cardio First Angel Group, the small device comes in a protective plastic case. In case of emergency, it is removed from the case and placed on the victim’s chest. A foam backing on the device helps keep the victim’s sternum from being damaged during CPR. 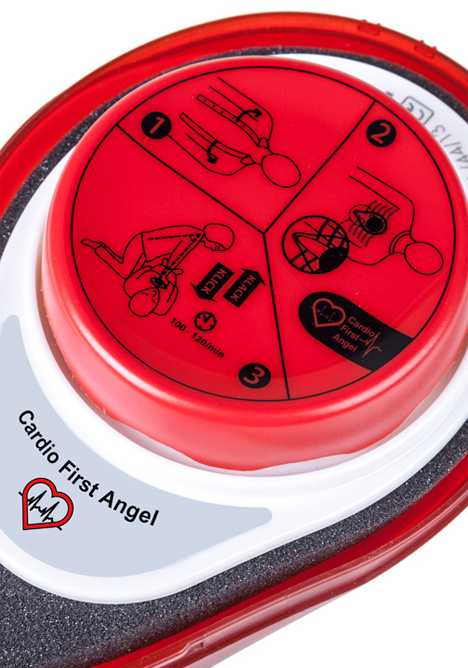 A large red button on the top of the Cardio First Angel illustrates exactly where to place it and then how to use it. As the button is depressed and pops back up, it makes a clicking sound which tells the operator that they are using enough force to make the device effective. The clicks also help the operator maintain the optimal pace of 100-120 compressions per minute until emergency services arrive to take over. In many cases, those crucial first few minutes of CPR can keep the victim’s blood circulating long enough to avoid permanent damage.